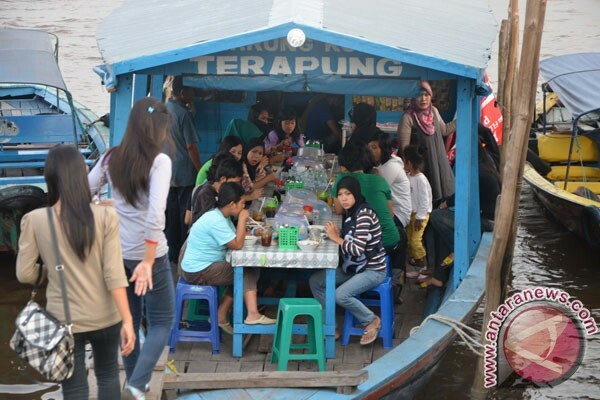 The floating houses (along the bank of Musi River) will attract tourists to Palembang, South Sumatra, according to a regional administration official. "We hope to increase tourism in this region by promoting the activities of the locals," said Aris Munandar, head of the Palembang Development Planning Board`s strategy and layout division, on Monday. "Floating houses (see image here) are unique. Hence, tourism will increase significantly," he noted. Musi River has many unique features that cannot be found in other regions, he said. Munandar said the locals live in floating houses. However, these houses will be developed into production houses, where special crafts related to the Musi River will be displayed. "Souvenirs and food items will be a part of the floating house tourism," he pointed out. In the future, tourists can stay in floating houses if they enjoy staying in houses built above water bodies, he said. He added that he is planning to implement the concept of water tourism.